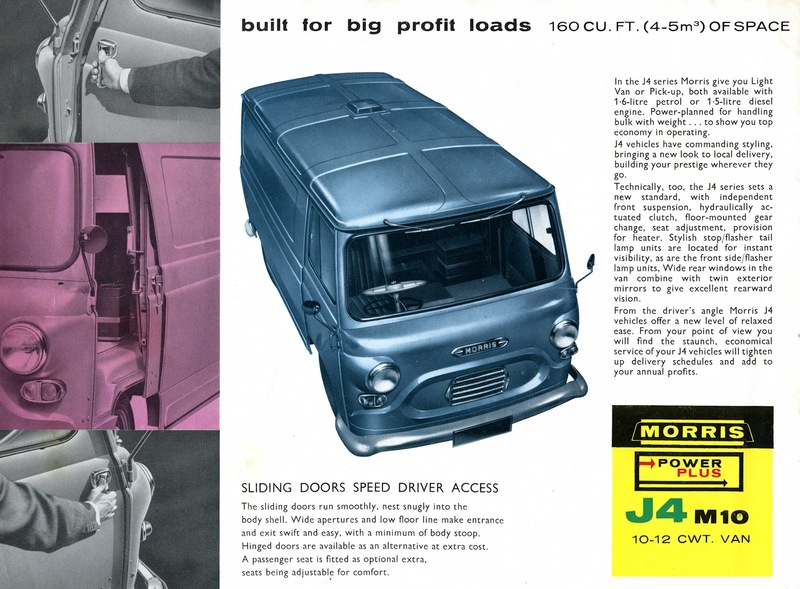 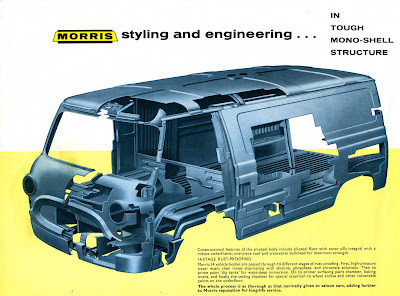 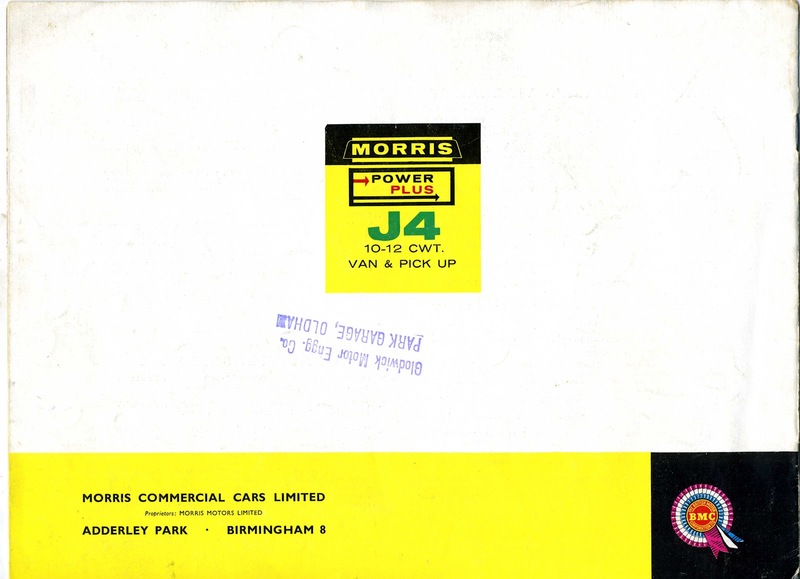 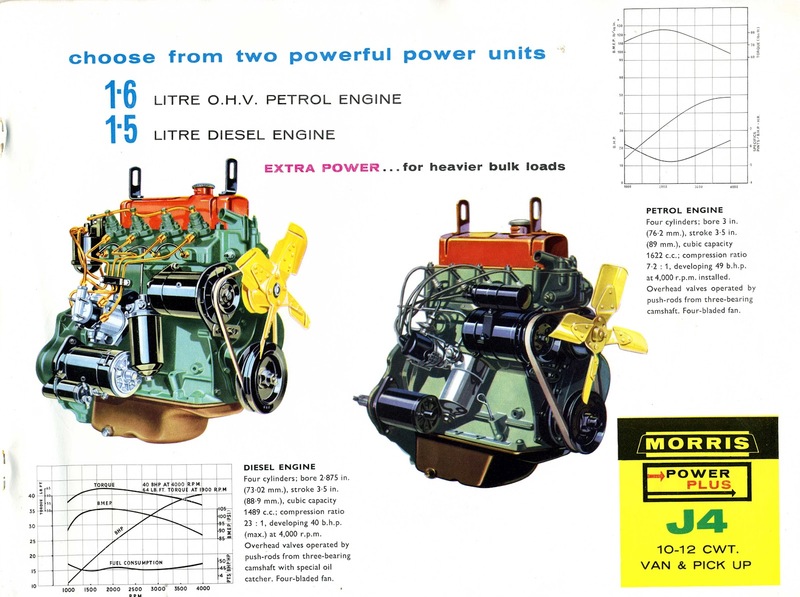 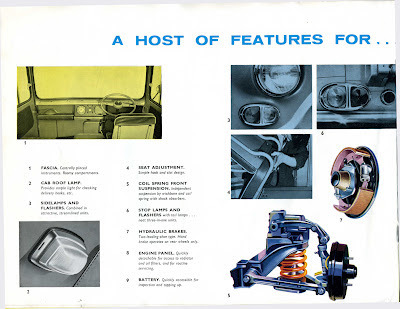 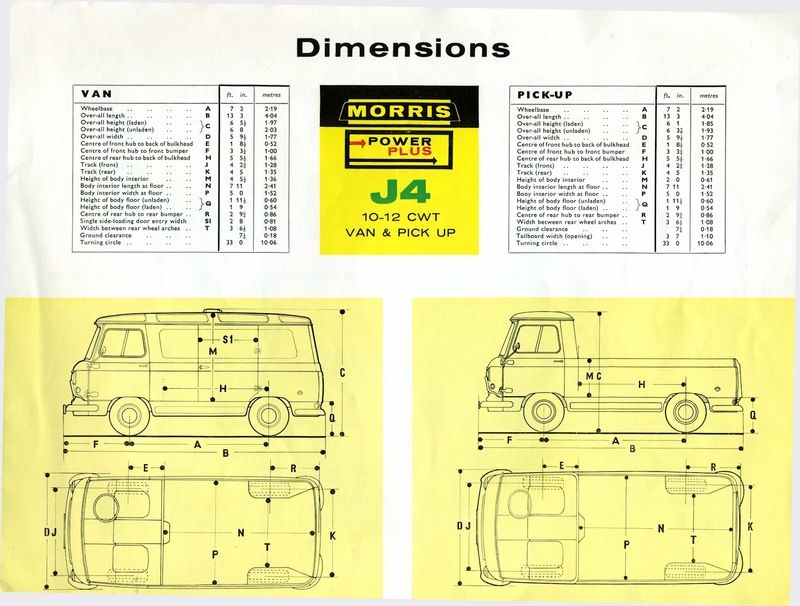 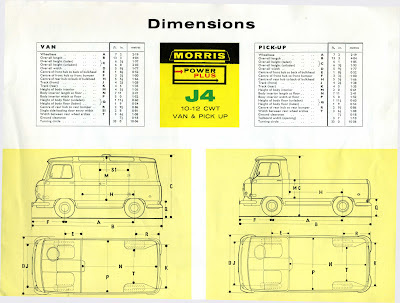 Amongst a recently acquired bundle of old catalogues was this 1963 brochure for the Morris Commercial J4. 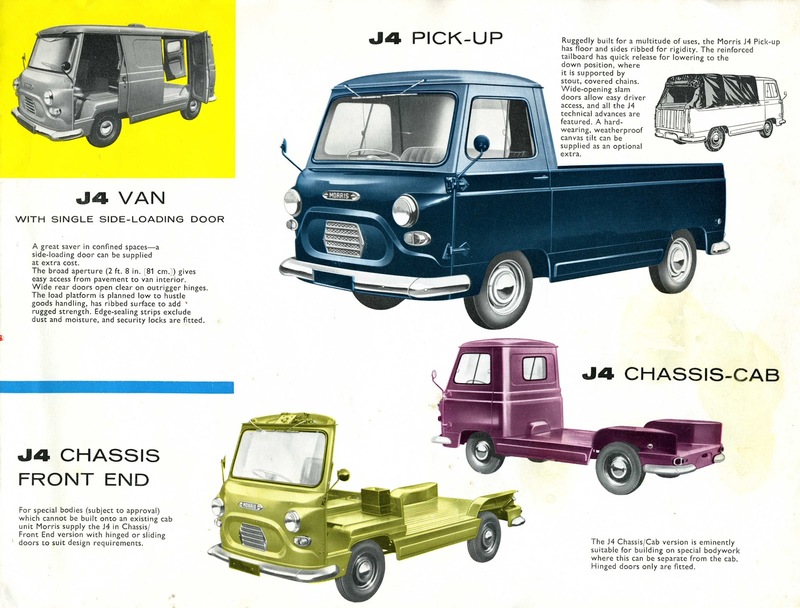 Available as a van or pick-up, chassis cab or chassis front end, it was in production between 1960 and 1974, superseded by the Leyland Sherpa. 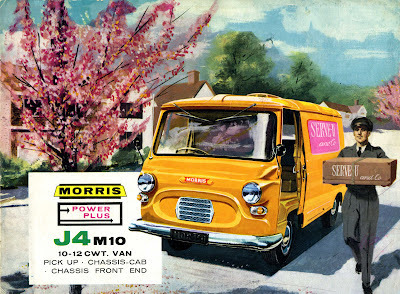 It was common amongst the big fleets, such as the Post Office and various utility companies as well as a police van. 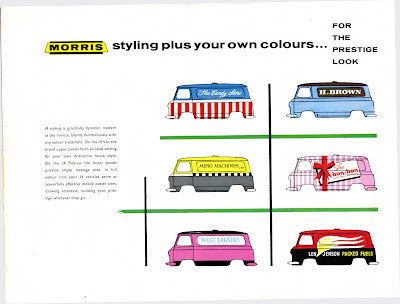 They were also popular as camper vans. 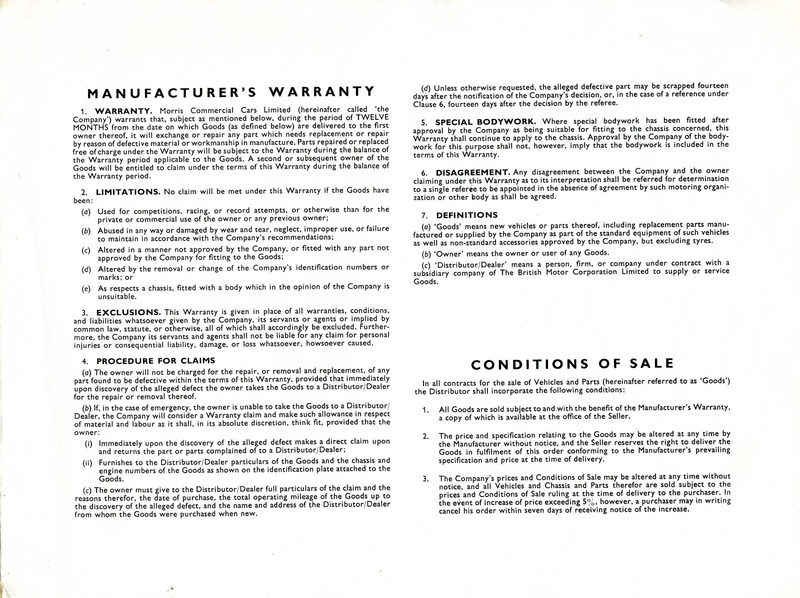 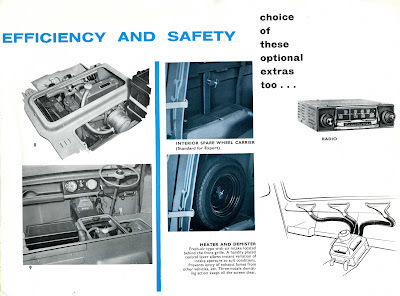 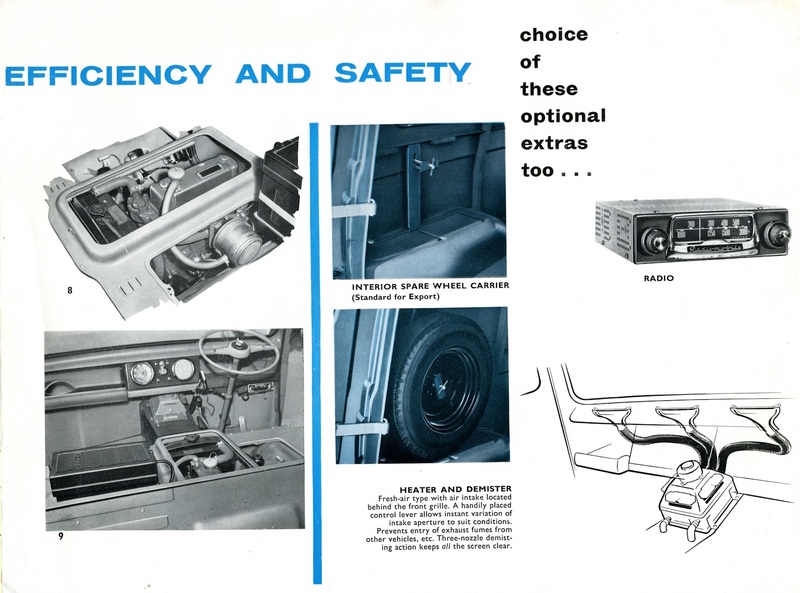 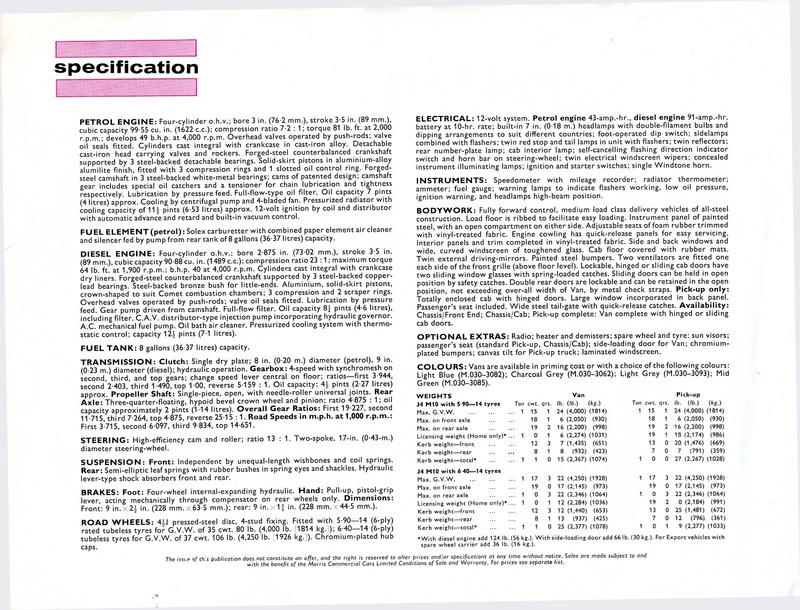 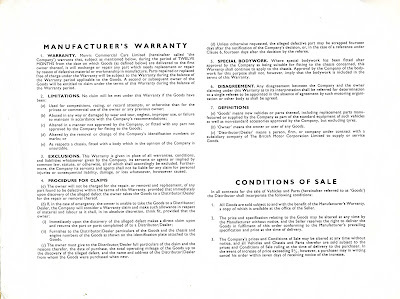 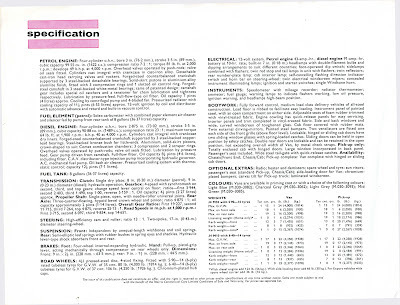 As can be seen on the rear cover (albeit upside down), the brochure was originally supplied by Glodwick Motor Engineering Co., Park Garage, Oldham. There is a J4 on the cover of 'Abbey Road', a black one, I think. 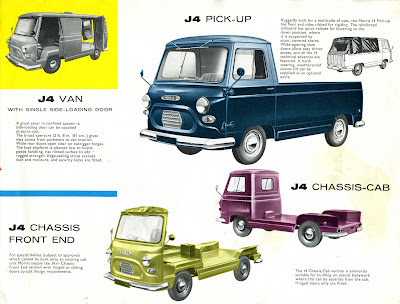 They have quite a following; if one appears in one of my Flickr street scenes, it is soon commented one, and there is, of course, a J4 group. I do prefer brochures and advertising with artwork, rather than photographs.